Discussion in '2015+ S550 Mustang Talk' started by Modular Racing, Feb 5, 2016. 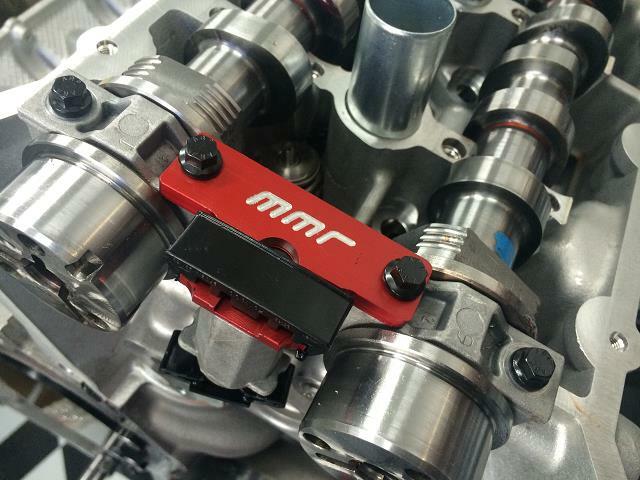 Here is a great new part that MMR spent most of last year testing. Ford is notorious for tensioning chains on the wrong side and the coyote was no different. Long story short the chains should always be tensioned on the "slack" or loose side. Unfortunately Ford missed the boat again so to speak, and the driver side cylinder head on all coyote 5.0 engines are tensioned on the wrong side. Many will ask "what does it do? ", the answer is it allows for a large sweep of uncontrolled timing and racheting of the cam which is very hard on timing chains and allows for erratic cam timing, for those that have ever degreed a modular engine some will notice that it is very hard to make the cams repeat after a few revolutions, this is one reason. This new part from MMR fixes the problem by essentially flipping the tensioner upside down with a simple billet bracket. 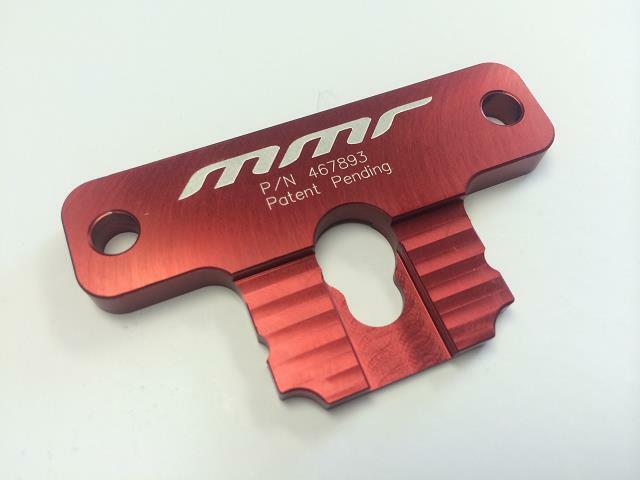 The kits includes the MMR billet bracket and ARP hardware. The Cam sprockets must be removed for installation, otherwise it is a very easy install and should be considered for any serious build. I did just installed it, thanks MMR.